Is it possible to place form right in the email ? Just wondering if its possible to place form inside email and send it to the costumers. 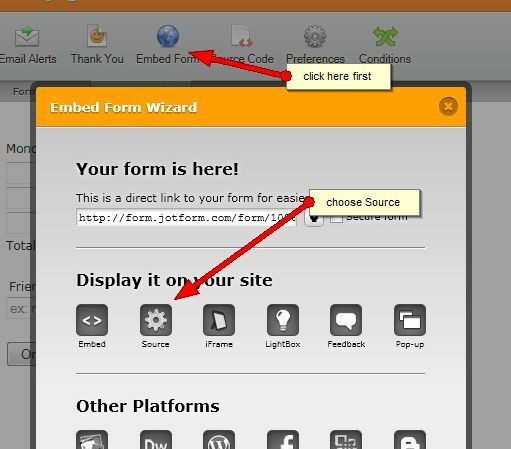 You can include the form in your email message by inserting the source code within the body of the email. Please note that any change you made in the Form Builder would not automatically reflect into the form embedded into your email message. You'd have to re-embed the source code everytime you make changes. if youre talking about embedding the entire form in an email, you might want to check out Campaign Monitor, they have alot of free information about embeddding anything into an e-mail. Active scripts are not usually supported and even HTML support is spotty to say the least in e-mail clients. Good News! We have just released integration with Campaign Monitor.